Google is currently testing plus post ads (+post), a product which will enable brands to promote the content of their Google+ page across the web, using Google’s Display Network. The feature, which is currently in beta mode and testing with brands including Toyota and Cadbury, will only be available to websites using Google’s AdWords platform. 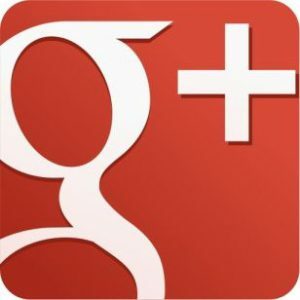 Any content posted to the Google+ network, including pictures and videos, can be transformed into an ad which will feature on websites and expand into a full-screen lightbox when clicked. These ads will help brands to further their reach and offer more than click-through-rates. Users can leave a comment, choose to +1 the post or join a Hangout on Air, directly from the ad. As such, advertising becomes more of a social experience, where real discussions and loyalties between brands and consumers begin. As the function of these ads is more social, then there is also a need to craft messages differently and therefore, +post ads are bringing something completely new to online advertising. Brands can use these ads to move away from short snippets of information and cold calls to action and in turn, reach out to audiences in a much friendlier, direct way. The more engagement an ad receives then the more appealing the ad appears and therefore, as engagement builds on these ads over time, they are likely to perform better. +post ads will also include all the tools of the Google Display Network, giving advertisers the opportunity to filter their audiences by demographics and to customise their content for different devices. These ads are quickly and easily created and offer brands a more sociable platform to get their content to the right people at the right time. Plus, ads only cost when they are engaged with, presenting advertisers with more guarantee for their investment. As yet, +post advertising is only available to a select number of AdWords users but brands can sign up online to test. This entry was posted in Advertising and tagged +post ads, google +post ads, google ads, google advertising, google plus post ads, plus post ads on December 22, 2013 by Pinnacle.